The Eroscillator does not vibrate like other toys, but rather oscillates, to better mimic the feel of a loving finger. 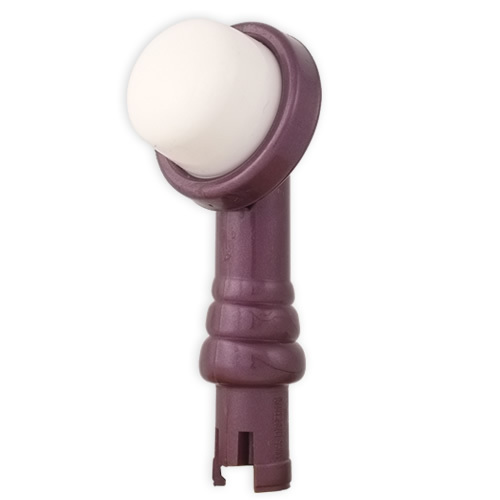 Now you can enhance that sensation with the Ultra Soft Finger Tip attachment. A marvel of high-tech Swiss engineering, the attachment is constructed of medical silicone elastomer for a soft, sensual feel. Of all the attachments, this one comes closest to feeling like human touch. Try it with a few drops of your favorite lube. Completely watertight, this attachment is insertable and cleans up easily with soap and water.